WASHINGTON — The program office for Landsat 9, an upgraded rebuild of the $850 million Landsat 8 that went into service two years ago, is finally up and running at NASA’s Goddard Space Flight Center. But major procurement decisions for the next in the long series of land-imagining satellites may not be made until fall, a senior NASA official said April 21. Landsat 9, launching in 2023, will be a near copy of Landsat 8, which launched in February 2013 on a five-year mission but carries enough fuel last at least 10 years. NASA could simply sole-source significant parts of Landsat 9 to Ball Aerospace & Technologies Corp. of Boulder, Colorado, and Orbital ATK of Dulles, Virgina, the companies that built Landsat 8’s main camera and spacecraft platform, respectively. Alternatively, NASA could make those companies — and anyone else interested in the work ­­— compete for contracts. The Landsat 9 office, led by Landsat 8’s deputy program manager Del Jenstrom, will spend much of the remainder of the year refining the mission’s exact requirements, which will in turn drive procurement decisions. Right now, all options are on the table, Freilich said. The only thing already set in stone? Goddard will build Landsat 9’s thermal infrared camera, which will be an upgraded version of the Thermal Infrared Sensor (TIRS) the center built for Landsat 8. The in-house instrument work is part of the reason Freilich expects Goddard’s program office, which has a $60 million budget this year, to employ around 80 civil servants at peak. NASA wants Landsat 9’s thermal imager to last at least five years on orbit; The Landsat 8 instrument is rated for only three years. Landsat 9 will also carry a medium-resolution camera like the Operational Land Imager Ball built for Landsat 8. Thermal imaging is the weakest link in the Landsat chain right now. Landsat 7 has a thermal imaging instrument, but operations for the already 16-year-old satellite “will be terminated, likely in the 2019 time frame,” Freilich said. 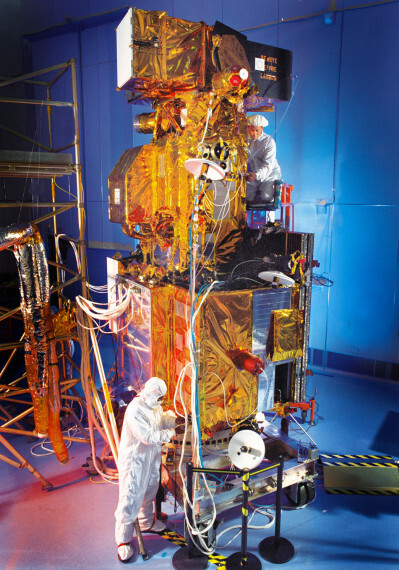 The TIRS aboard Landsat 8, meanwhile, was designed to last only three years on orbit, meaning it will reach the end of its design life seven years before Landsat 9’s launch deadline. 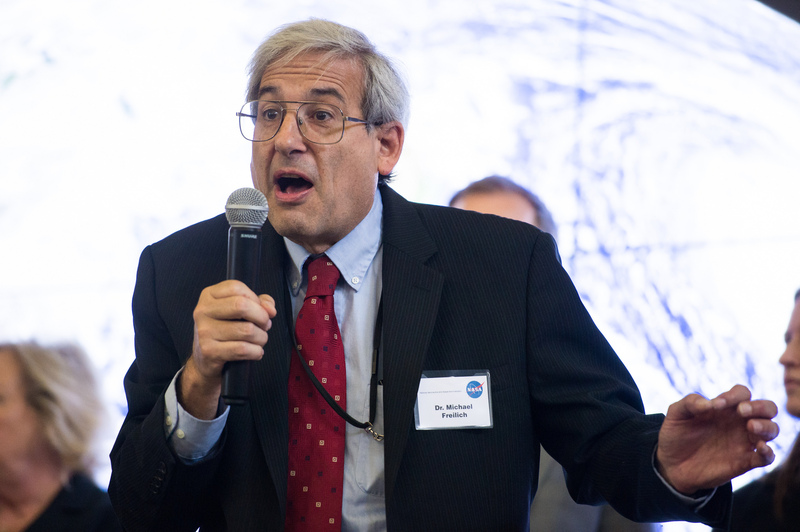 “TIRS was actually added to the program [Landsat 8] rather late,” Freilich said. “It was added in by Congress in the 2009 budget and so there was insufficient time to develop a fully redundant Class B instrument,” which is designed for five years of operation. Making matters worse, the TIRS on Landsat 8 is letting in stray sunlight, Freilich said. That reduces the accuracy of the infrared measurement NASA gets from the spacecraft, although it “does not render them useless,” he said. Still, it takes more than software to eliminate stray light. “Stray light problems are fixed with baffles and various other design features,” Freilich said. In other words, it is too late to repair it. The impending end of thermal measurements from Landsat 7, coupled with the degraded TIRS on Landsat 8, has prompted NASA to design and launch a dedicated thermal-imaging satellite to fly in formation with either Landsat 8 or some other spacecraft that has a Landsat-like visible-spectrum camera, such as Europe’s Sentinel 2A. The European satellite is set to launch in June from Kourou, French Guiana aboard an Arianespace Vega rocket. NASA plans to launch its thermal-infrared free-flyer, which would cost around $180 million to build, in 2019. The dedicated satellite would be “a bare-bones system” that acts as “a band aid to the launch of Landsat 9,” Freilich saud. The free-flyer would also be available to keep thermal measurements continuous in case Landsat 8’s thermal instrument “craps out,” he added. Landsat 9 and the thermal-infrared free-flyer are two of three satellites NASA is pursuing as part of its sustainable land-imaging program, which aims to continue Landsat measurements through at least the early 2030s. The third satellite in the planned trio, Landsat 10, would launch around 2030, or perhaps a few years earlier, Freilich said. Landsat 10 will be similar to Landsat 9 and Landsat 8, although NASA is trying to figure out a way to avoid locking in the satellite’s payloads so the mission can take advantage of advances in imaging technology. To that end, Freilich said, NASA will hold off on Landsat 10 instrument selections until around the end of this decade. While Landsat 8 cost about $850 million to build and launch, five years of operations is expected to push the mission’s total cost to nearly $1 billion. In congressional testimony in June, Freilich said a Landsat 8 clone would likely be similar. 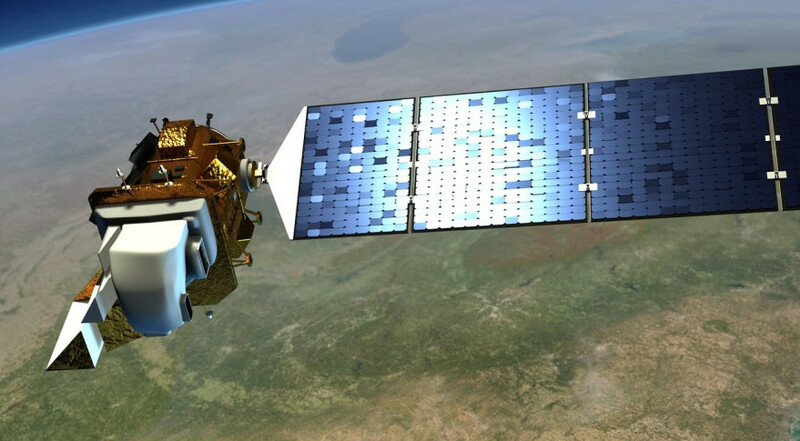 NASA funds and manages construction and launch of Landsat satellites for the U.S. Geological Survey, a part of the U.S. Interior Department responsible for the collection, storage and dissemination of Landsat data.